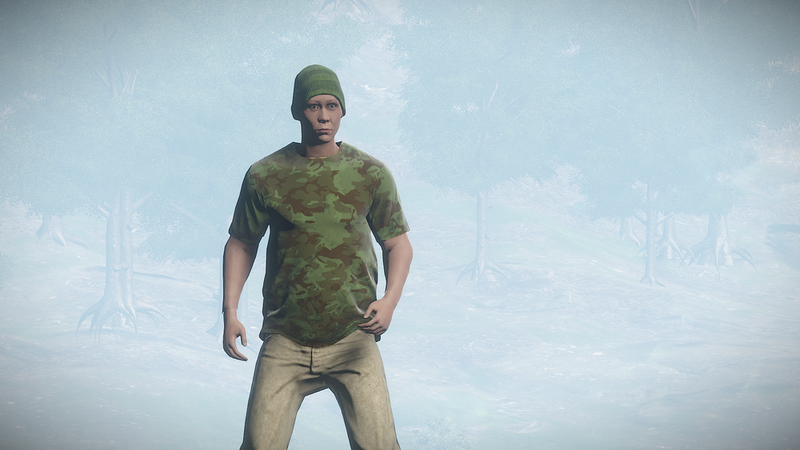 New clothing, longsword added, and a word on blueprints. 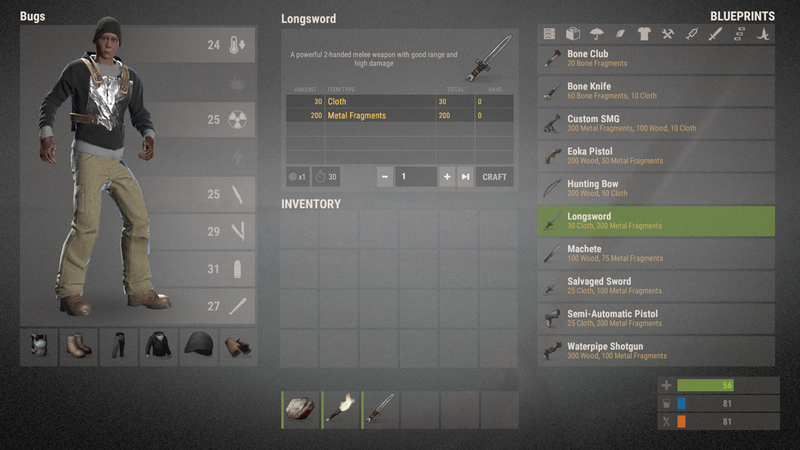 7:40pm EST - The longsword is officially on the development branch along with a new inventory stat UI! The first iteration of the new steam inventory system was launched with the update last Thursday. To the surprise of many, it works different than expected. Rather than the global / server blueprint system previously described (requiring a player to possess the matching blueprint on a server before they can craft the steam market equivalent), players are able to craft items they've acquired through the steam market on any server they join, regardless of what blueprints they've found. Now, this isn't a huge issue for things like t-shirts and pants, however, this system will obviously not work once item skins for armor, weapons and tools are added. Even if you still need the resources to craft said item, being able to effectively buy the ability to craft any item on any server is very much pay to win in my mind. It strikes me the originally described global / server blueprint system would be much more workable; it allows for any item to be customized and doesn’t shift the current server blueprint ecosystem at all. 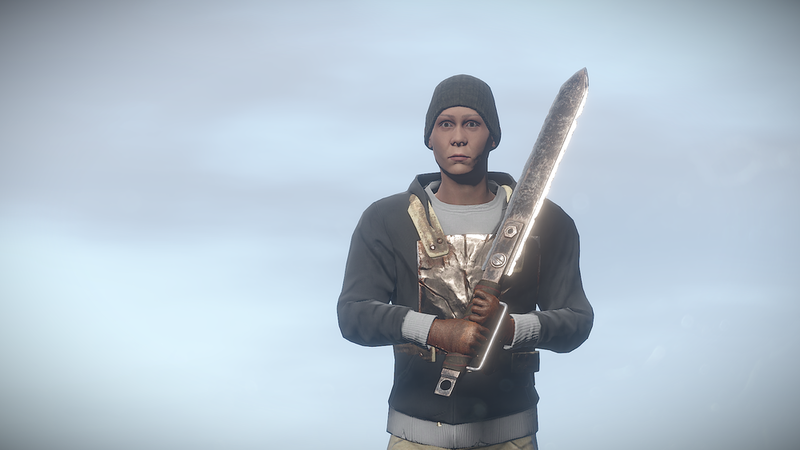 Helk has added the longsword (which I believe is the two-handed sword Minh has been working on the past two weeks). We’re still waiting on the server files to build, but I’ll add some more info and visuals as soon as it’s complete. Andre has made some tweaks to the weather system, lowering the probability it will rain. Good, I love weather as much as the next guy, but it definitely seems to rain much more than not. Alex has been working on rigging up the view model for the new crossbow. It is not yet implemented in the game, however, I’m really hoping this makes it in this week! The next tier of furnace is one step closer to being in as Vince has completed the art, models, lod, gibs and more. The actual functionality still needs to be completed, but I’d expect to see this in game over the next couple weeks. Mihn has rigged up the view model for the 2 handed cleaver. No visuals on this yet but expect to see it added soon!